"A black hole really is an object with very rich structure, just like Earth has a rich structure of mountains, valleys, oceans,and so forth. Its warped space whirls around the central singularity like air in a tornado. It has time slowing as you approach the hole's edge, the so called horizon, and then inside the horizon, time flows toward and into the singularity [the central spot of infinite density and zero volume], dragging everything that's inside the horizon forward in time·to its destruction. "Looking at a black hole from the outside, it will bend light rays that pass near it,and in this way it will distort images of the sky.You will see a dark spot where nothing can come through because the light rays are going down the hole. And around it you will see a bright ring of highly distorted images of the star field or whatever is behind it. "Gravitational waves will bring us exquisitely accurate maps of black holes-maps of their space-time. Those maps will make it crystal clear whether or not what we're dealing with are black holes as described by general relativity. It's extremely unlikely that they are anything else, but that's the exciting thing-we've been wrong." 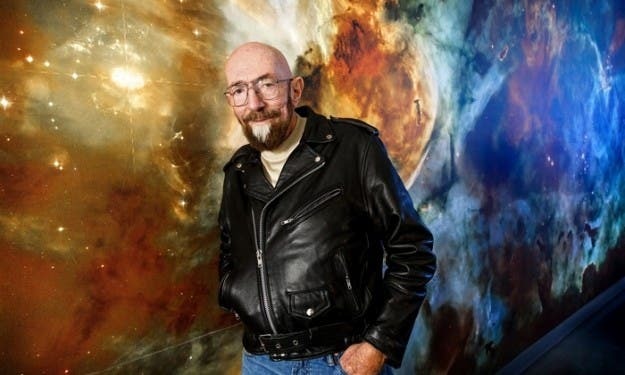 Kip Thorne, theoretical physicist, and colleague of Stephen Hawking and Carl Sagan, was the Feynman Professor of Theoretical Physics at the California Institute of Technology, and is one of the world's leading experts on Einstein's general theory of relativity. He was the scientific consultant and an executive producer for Interstellar. 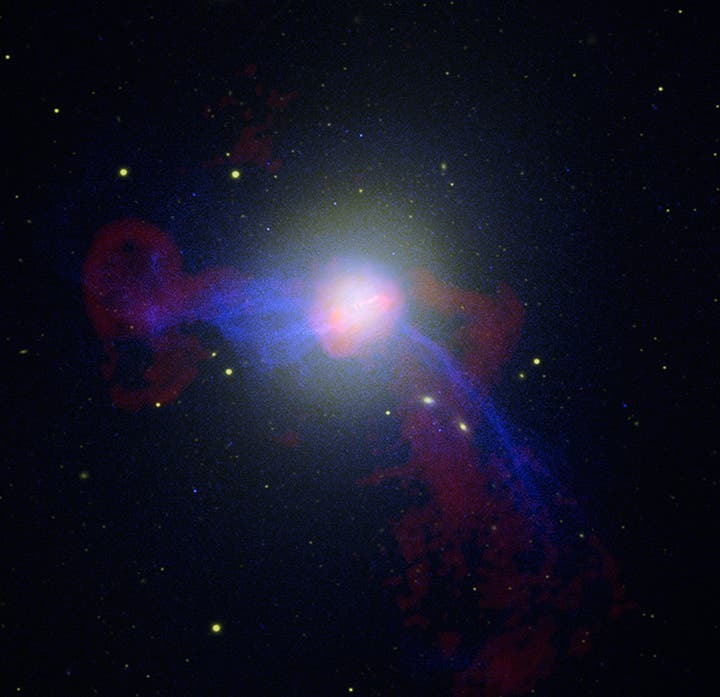 In the image, a central jet is surrounded by nearby bright arcs and dark cavities in the multimillion degree Celsius atmosphere of M87. Much further out, at a distance of about fifty thousand light years from the galaxy's center, faint rings can be seen and two spectacular plumes extend beyond the rings. These features, shown in X-rays, together with VLA radio observations, are dramatic evidence that repetitive outbursts from the central supermassive black hole have been affecting the entire galaxy for a hundred million years or more.